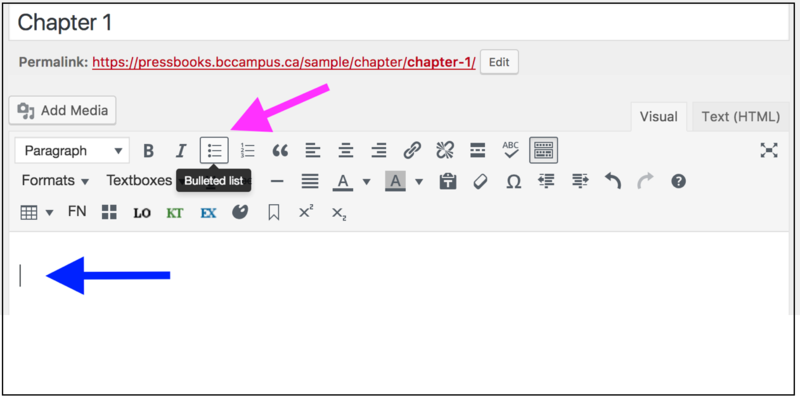 You can add a bulleted list by selecting the Bulleted list icon from the WYSIWYG toolbar. Place the cursor where you want the list to appear. Click on the Bullet list icon. Write your list item. 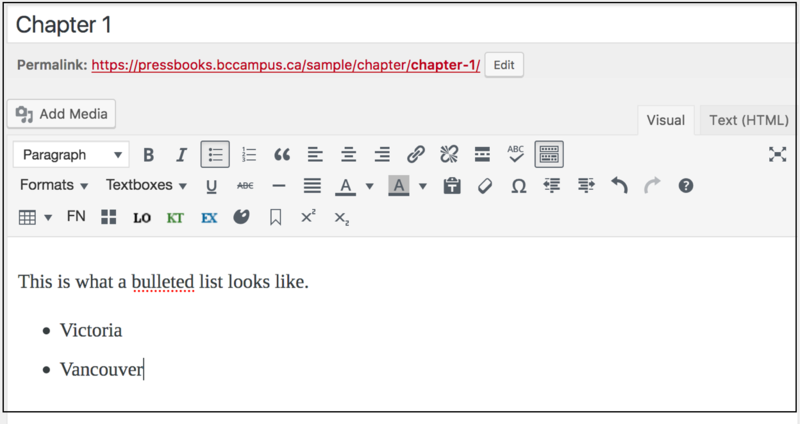 Alternatively, you can write a list item first, highlight it, and then select the Bullet list icon to insert a bullet. When finished with your first list item, press the Enter key on your keyboard to add another list item. Highlight the items in a primary list that you want changed to secondary-list items, and click the Increase indent icon in the WYSIWYG toolbar. 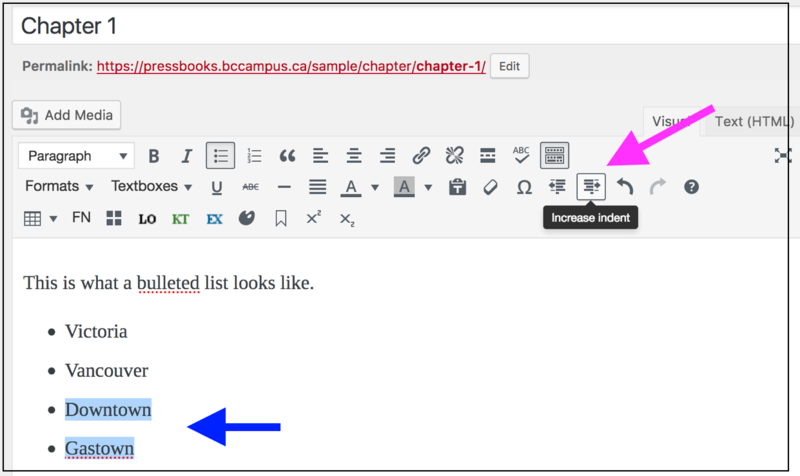 Place your cursor at the beginning of a list item that you want changed to a secondary-list item and press the Tab key on your keyboard. 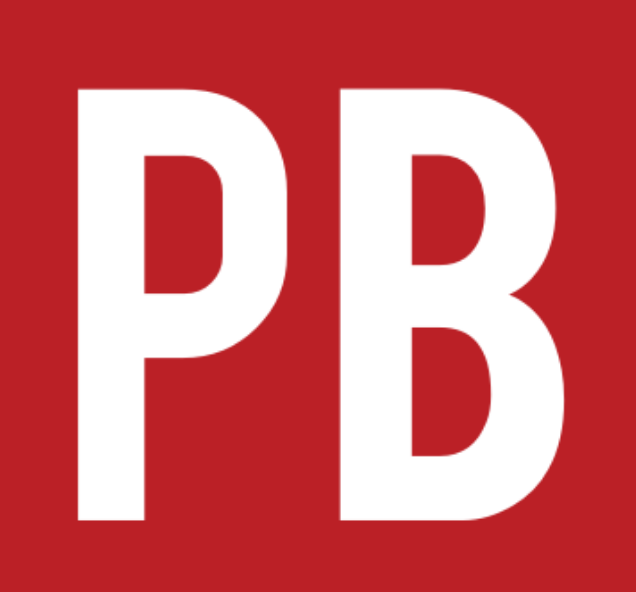 An unlimited number of sub-lists can be created under a primary bullet list. 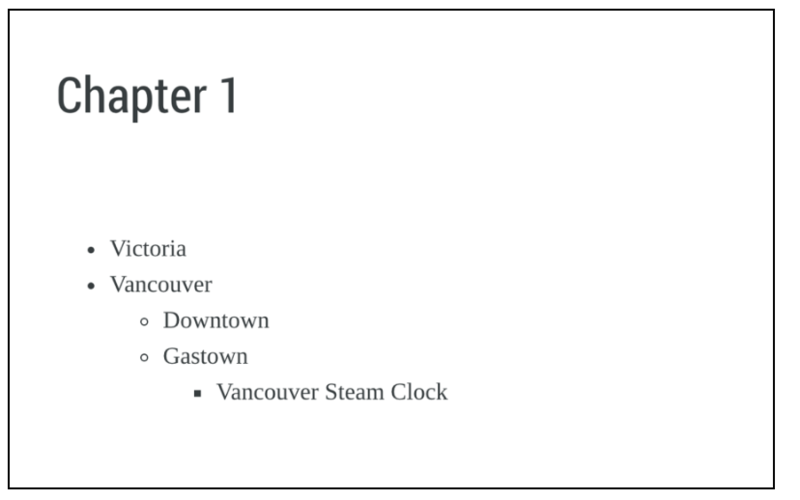 See Formatting Ordered Lists in the Pressbooks User Guide. Lists: Bulleted and Numbered by Lauri M. Aesoph is licensed under a Creative Commons Attribution 4.0 International License, except where otherwise noted.